In the Image (ITI) is a not-for-profit organization in Grand Rapids, Michigan. It began as a donation area in the damp, poorly lit basement of a Heartside District church and provided clothes, shoes, household goods, and other necessities to those in need. Over time, as both need and donations grew, the volunteer-run clothing program got too large to stay in its location. Using a $5,000 grant, the team obtained a small storefront, filed the paperwork to become an official organization, and In the Image was born. As word of the organization grew, donations came in from more and varied sources. These include not only private individuals, but also churches, companies, and consignment shops. 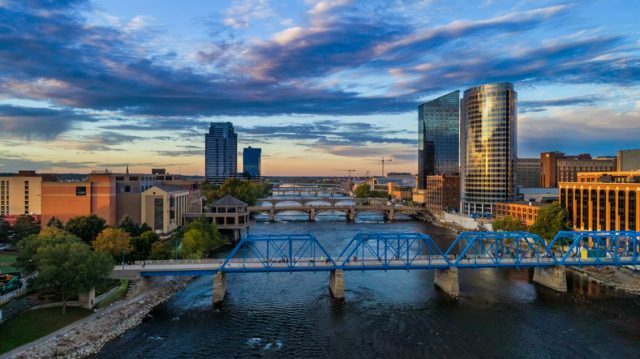 The Grans River, Grand Rapids, MI. 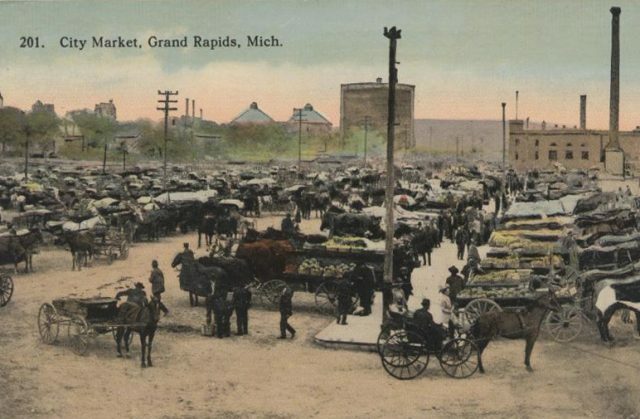 ITI’s continued growth prompted the organization to move again to their current location in Burton Heights, which was a small hamlet of its own before being annexed by Grand Rapids in 1910. Any charitable group must rely on private donors in order to keep costs as low as possible and maximize the services they can provide to their clients. Organizations often have lists available for potential donors, itemizing things that they need or really want, to ensure they keep running smoothly; but for the most part, it’s companies or other organizations that use those lists. Individuals tend to donate what they have to give, which can be less predictable. ITI experienced this in spades. According to The Grand Rapids Press, back in 2013, In the Image received some 12,000-year-old mastodon parts in a donation box. Jay Starkey, ITI’s director, said that at first they thought it looked like the broken parts of something. When examined more closely, the bits were believed to be a mastodon tooth, broken into two pieces, and the hollowed tip of a mastodon tusk, according to CBS News. No one has come forward with that information, however. Because the box wasn’t inspected at the time it was picked up, and ITI went to about eight houses that day, they have no way to know who donated the fossils or why. Starkey also said that this was not the first time In the Image had received an odd donation. Finding drugs in donations is not uncommon. They also once received a $5,000 painting which they donated to a museum, and, maybe most oddly, once an urn with someone’s ashes inside. ITI isn’t unique in receiving the occasional odd donation, according to Nonprofit Quarterly. Volunteers of America once received an 8,000 lb., home-built, yellow submarine. A cancer research group in the UK was once given a live rabbit, and, on two other occasions, a box of cooked rice. Two different Salvation Army sites reported being given ordnance – one a missile launcher and the other an inactive hand grenade from WWII. 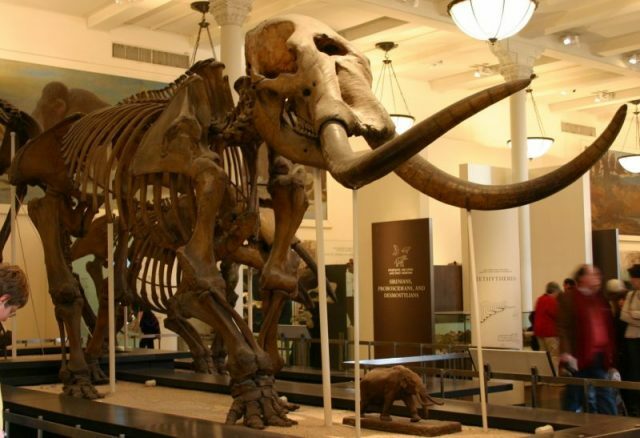 After wondering for a while what the donor imagined the mastodon artifacts could be used for, In the Image decided to donate them to the Grand Rapids Public Museum, which added them to its educational collection. The museum has a number of mastodon bones already on display in its general collection. The educational collection are pieces that can be loaned out to educators for teaching purposes. 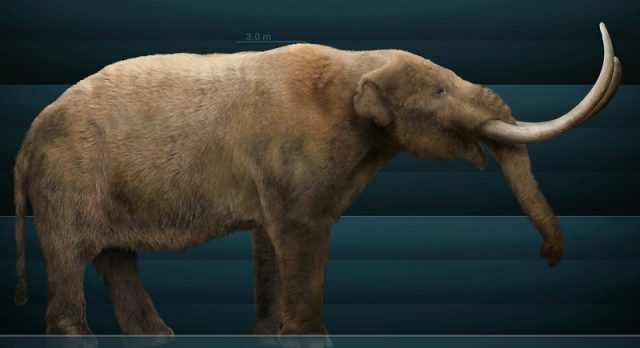 Mastodons were large, prehistoric elephant-like animals. They are known to have been spread over much of North America prior to their extinction. 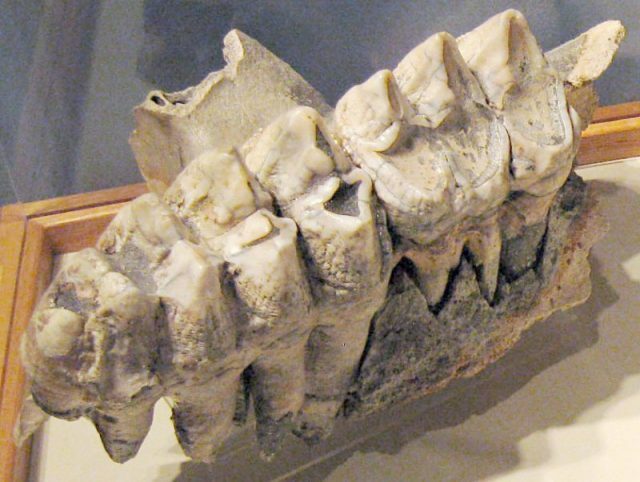 Mlive reports that, even now, Mastodon skeletons turn up every so often around parts of Michigan. 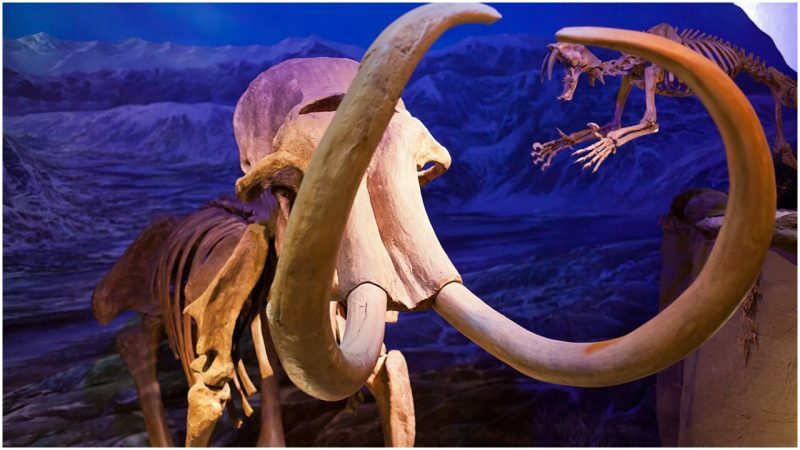 Dan Fisher, Director at the University of Michigan Museum of Paleontology, estimates that discovery of mastodon or mammoth fossils occurs two to three time a year throughout the state.